A full-fledged mutant jamboree, but one that blunts thematic and character development in favor of narrative expediency. 104 min. 20th Century Fox. Director: Brett Ratner. 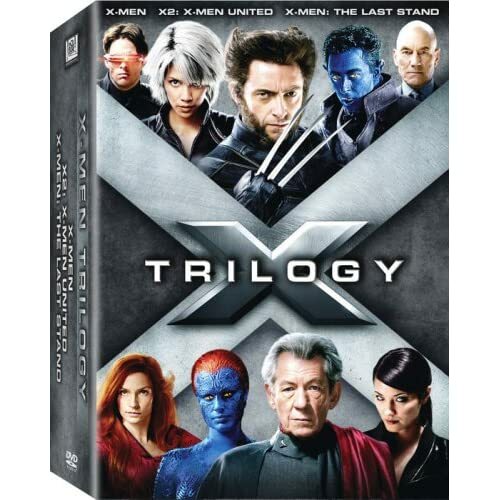 Cast: Hugh Jackman, Patrick Stewart, Halle Berry, Ian McKellen, Famke Janssen. X-Men: The Last Stand is a decidedly mixed bag and, ultimately, a disappointment, but it has its good points. Where else can one observe Kelsey Grammer—decked out in blue skin, blue fur, and a Brooks Brothers suit—to say, "Oh my stars and garters"? Grammer's Beast (a.k.a. Hank McCoy, Secretary of Mutant Affairs) is one of nine significant new mutant characters in the second X-Men sequel, added to eleven returning mutants. It's a full-fledged mutant jamboree, but one that blunts thematic and character development in favor of narrative expediency. Though it's become fashionable to say so, it's also true: director Brett Ratner can take much of the blame for the clumsiness of X-Men: The Last Stand. Director Bryan Singer established the comic-book franchise in the crackerjack X-Men and X2, then jumped ship to helm Superman Returns, opening the door for Ratner. It seems doubtful that Singer would have accepted this spongy screenplay—by Simon Kinberg (Mr. and Mrs. Smith) and Zak Penn (co-writer of X2)—much less editing both the action and the character drama to run at a frenzied, breathless clip. The best things about X-Men: The Last Stand are its premises, though they are odd bedfellows. One storyline picks up where Singer's X2 left off, with the resurrection of presumed-dead mutant hero Dr. Jean Grey (Famke Janssen) as unstable, godlike Phoenix (the "Dark Phoenix" plotline derives from the Chris Claremont era of the X-Men comics, and Claremont makes a cameo appearance). The plot that drives the film, however, concerns a purported "cure" for mutancy. The cure answers the fears of militant anti-human mutant Magneto (Sir Ian McKellen); from his perspective, the US government intends genocide. The prospect of a cure divides the franchise's core superhuman characters: some, like Halle Berry's Storm, consider the idea that mutancy is a disease to be the ultimate insult, while others see the cure as a godsend. In the latter category is Rogue (Anna Paquin), whose mutant power includes the unfortunate side-effect of being unable to touch others without harming them. Feeling her hold on boyfriend Iceman (Shawn Ashmore) slipping away, Rogue understandably takes the cure under serious consideration. Inspired by an Ultimate X-Men storyline penned by Joss Whedon, the "cure" plot is a perfect capper to a thematic trilogy initiated by Singer to be an allegory of civil and, particularly, gay rights. Ratner's film opens with another evocation of pubertal shame, as young Angel—whimpering in a locked bathroom—attempts to hide his developing mutation from his billionaire father (Michael Murphy). But the overstuffed cast doesn't allow proper development of Angel (played, in young adulthood, by Ben Foster) or, indeed, any of the characters or concepts. Magneto, Grey, and Professor X (Patrick Stewart) get the most memorable moments, and a game Hugh Jackman almost holds the whole picture together as Ginsu action-hero Wolverine, but the most lasting impressions come from special-effects-driven action scenes, particularly Phoenix's freak-outs and the heavily promoted image of the Golden Gate Bridge being "repurposed" by Magneto. Kinberg and Penn bid for poignancy by awkwardly offing three key characters and sapping the powers of two more, but as always in the science-fiction genre, bets are emphatically hedged—never count out a class-five mutant (for more on this point, dear readers, stay all the way to the end of the final credits). The echoes of the civil rights movement (Professor X as the Martin Luther King, Jr. to Magneto's Malcolm X), terrorism (here including a cure-clinic firebombing), and homophobia (nature vs. disease) seem facile in Ratner's hamhands, John Powell's score emblematizes the film's bombastic approach, and Kinberg and Penn fall back on old-hat dialogue more often (quoth the POTUS, "May God help us") than not (Rebecca Romjin's Mystique deadpanning, "I don't answer to my slave name"). There's enough action and melodrama here for a disposable summer blockbuster of the moment, but one can't help but wish this franchise's antiheroic mutation could be cured. 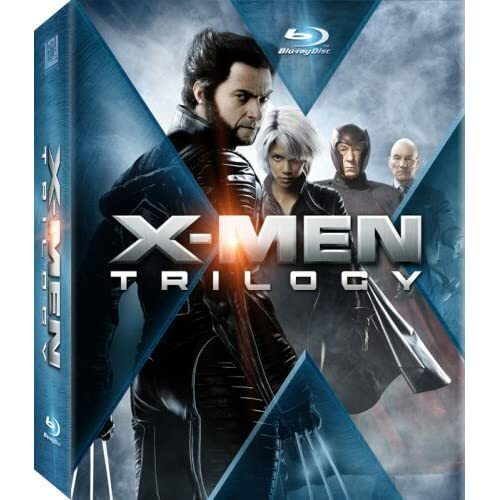 As part of its nine-disc X-Men Trilogy Blu-ray set, Fox rolls out a Blu-ray upgrade of X-Men: The Last Stand. There's nothing to complain about in the A/V department: the detailed and film-like transfer delivers an authentic recreation of the film's visual design as seen in theaters, with nary a digital artifact to be seen. The lossless DTS-HD Master Audio 6.1 track is as dynamic as they come, taking full advantage of every channel for an action-packed and immersive soundscape. Bonus features begin with an audio commentary with director Brett Ratner and screenwriters Zak Penn and Simon Kinberg and an audio commentary with producers Avi Arad, Lauren Shuler Donner and Ralph Winter. All but completists will probably want to skip these and head straight for the video-based bonuses, as the tracks are generally lackluster and prominently self-congratulatory. Disc One also includes ten "Deleted Scenes" (SD) that are mostly extended scenes but include three alternate endings. There's also an alternate opening voiceover for Professor X.
Disc Two contains the bulk of the bonus features, beginning with "Brett Ratner's Production Diary" (41:21), a pretty nifty look behind-the-scenes with a good sampling of raw pre-production and set footage. "X-Men: Evolution of a Trilogy" (44:58, SD) is a nice overview of the X-Men characters and their actors, and the three films and how they developed and fit together. The featurette "X3: The Excitement Continues" (21:16, HD) focuses on the talents' takes on the distinctive qualities of the third film and its making. "X-Men Up Close" (HD) offers a menu of mutants that links out to interactive character files: for each character, a short clip from the movie plus a dossier. "Anatomy of a Scene: Golden Gate Bridge" (12:03, HD) breaks down the sequence, showing it in its various stages of development and explaining what it took to get the finished product in terms of live staging and special effects. "Generation X: Comic Book History" (1:08:32, SD) surveys creator Stan Lee, Marvel artists, and film producers about the complete history of the comic books, its constellation of characters, and various spin-offs. "Fox Movie Channel Presents: Life After Film School" (26:14, SD) sits three film students down with Winter for a Q&A. "Fox Movie Channel Presents: Casting Session" (10:05, SD) is a promo with Ratner, Winter, Lee, and the cast discussing the film and characters. "Vignettes" (27:05 with "Play All," HD) is a collection of seven cast and crew reflections on a variety of subjects, from politics to costumes. Four "Blogs" (14:17, HD) are webisodes from the film's original website campaign. "Pre-Viz Animatics" (25:45, SD) comprise 20 sequences from the film, in their original rough design. Still Galleries include "Conceptual Art" and "Characters," and we also get the film's Theatrical Teaser and two Trailers in HD. Like all the films in the set, X-Men: The Last Stand has a Digital Copy on Disc Three for greater viewing flexibility. All site content © 2000-2019 Peter Canavese. Page generated at 04/18/2019 02:26:07AM.